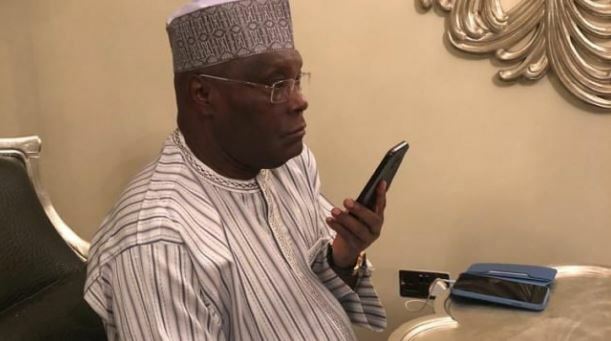 The Buhari Media Organisation (BMO) has advised the Presidential Candidate of Peoples Democratic Party (PDP), Alhaji Atiku Abubakar, to call and congratulate President Muhammadu Buhari on his impending victory in the just concluded Presidential election. The group made the appeal in a statement issued by its Chairman Niyi Akinsiju, and Secretary Cassidy Madueke, on Tuesday in Abuja. It said that it was the best option for the former vice president rather than toeing the path of the hawks in the opposition party. It said with the trend of results announced by the Independent National Electoral commission (INEC) it was clear that Buhari has the mandate of majority of Nigerians, who voted last Saturday, for a second term in office. “We also know that within the first few hours of collation of results at national level, PDP had issued a statement rejecting a result that had not been fully announced,’’ it said. It said the rejection by PDP was coming at a time when virtually all international observer groups had issued preliminary reports showing that the Presidential and National Assembly elections had been largely peaceful and transparent in spite of few pockets of violence. “We at BMO believe that this is the ideal time for Alhaji Atiku Abubakar to take a cue from the man he loved to quote – former President Goodluck Jonathan, who called the then candidate Buhari when it became apparent that Buhari had won the election. “We are convinced that he would earn the respect of more Nigerians without having to pay for it by making that call to the President as early as possible,” it said. The pro-Buhari group also advised PDP elements to desist from stoking ethnic hatred and bitterness over the outcome of the elections. BMO said: “Our attention has been drawn to ongoing efforts by PDP sympathisers online to tarnish the President’s hard-earned electoral victory through abusive words targeted at a section of Nigerians. “This is ludicrous and it would be necessary for PDP leaders to stop their supporters from painting President Buhari’s impending landslide victory in tribal colours in social media posts. “The truth is that even though President Buhari secured a large chunk of votes from his traditional strongholds in Northern Nigeria, he did far better this time than in 2015 in areas that were considered as PDP’s power base in Southern Nigeria. “So he clearly got a pan-Nigerian mandate in a free, fair and credible election that had two distinguished politicians from the same Fulani ethnic stock as the major candidates,” it said.